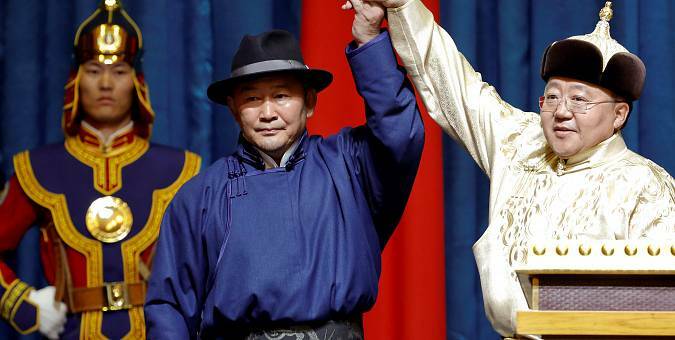 A former wrestling star has taken oath as president of Mongolia. Populist Khaltmaa Battulga, who won last Friday’s run-off election, is a real estate tycoon who has a Genghis Khan-themed amusement park as one of his assets. The leader of the opposition Democratic Party won just under 51% of the vote, giving him the majority needed to overcome parliament speaker Miyeegombo Enkhbold of the ruling Mongolian People’s Party. 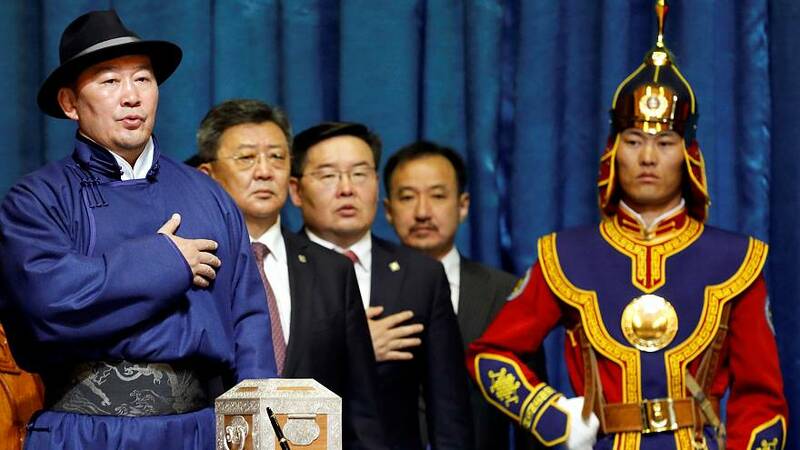 Battulga wore a blue robe and black brimmed hat for the inauguration ceremony, and was accompanied by outgoing president Tsakhiagiin Elbegdorj, who wore a more elaborate ivory-coloured costume and pointed hat. A soldier in blue, red and gold ceremonial robes looked on as the former martial arts star was sworn in, holding his heart in his right hand. Some investors have been wary of a Battulga presidency because of his calls for more state control of some mines and his suspicions of China, Mongolia’s biggest trade partner. Despite past protests, he has said he will stand behind plans to build a key railway to China from the enormous Tavan Tolgoi coal mine and has praised China’s Belt and Road pan-Asian infrastructure initiative. Battulga captured the attention of voters who feel Mongolia received a bad deal on investments, promising greater government control of strategic mines, such as Rio Tinto’s, Oyu Tolgoi copper mine. Elbegdorj will step down as president after finishing his second and final term.